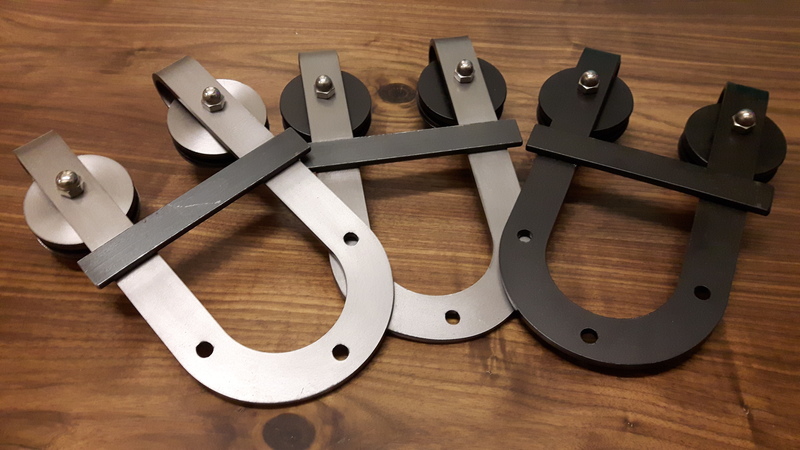 REBARN’S SPECTACULAR HORSESHOE BARN DOOR HARDWARE! Our top quality barn door hardware looks as good as it performs. And our horseshoe hardware is simply spectacular!